Thermira Monobloc is a compact system that provides the same solutions for heating, cooling and DHW production at home. The integral design of Thermira Monobloc makes it the easiest and fastest air to water heat pump system range to install. The outdoor unit and the hydrokit are unified in one sole piece of equipment. No refrigeration engineer is required for installation as all that needs to be done is to connect it to the cold water input pipe and the hot water output pipe, and to plug it in. Installation does not require any special adaptation as the equipment does not need a chimney, or a connection to a gas supply or diesel tank. 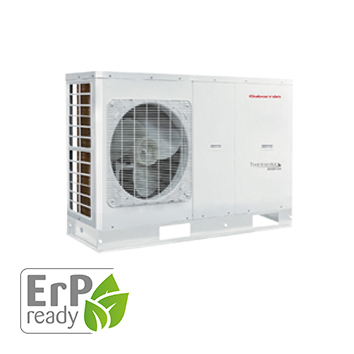 Basic operation is the same as for other air to water heat pump units: extracting heat from the temperature of the atmosphere, providing up to 4 times more energy than it consumes, thereby making it one of the most efficient models – its energy classification is A++. In addition to installation with conventional systems, such as underfloor heating or fancoils, another of the major advantages is the improved performance when used with a water system and traditional radiators, as it can reach an outlet water temperature of up to 61ºC, more than the standard figure, providing comfort at home much quicker. Compact “all in one” system, ideal for all kinds of homes. 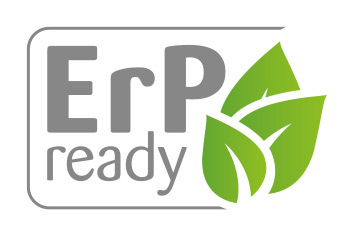 Greater energy savings, providing over 75% free energy. Greater energy efficiency at a lower operating cost and lower CO2 emission than traditional systems. Installed outside, thereby saving space inside. No refrigeration engineer required for installation. Water propulsion temperature of up to 61ºC, ideal for reaching comfort faster with conventional radiators.